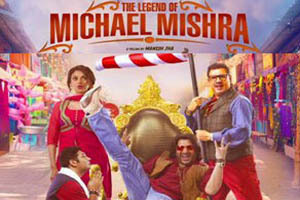 The Legend of Michael Mishra is a 2016 Bollywood comedy film produced by Kishor Arora and Shareen Mantri Kedia and directed by Manish Jha. The film stars Arshad Warsi, Aditi Rao Hydari, Boman Irani and Kayoze Irani. The music for the film is composed by Meet Bros Anjjan, Som-Raul, Abhinav Bansal, Rishi Siddharth and Ujjwal Nikhil while the lyrics have been penned by Kumaar, Alaukik Rahi, Abhinav Bansal, Amitabh Ranjan, Manish Jha and Ujjwal Nikhil. Here is the link of all the songs lyrics and videos of The Legend Of Michael Mishra.